/ What are the benefits of a generator cover? ​A good generator cover may not necessarily be expensive; a simple generator cover, though relatively cheap and simple, gives a lot of benefits in prolonging the life of your powerful machine. ​As electricity is must-have in our daily life, investing in a generator that provides power in dire needs such as sudden outages, and outdoor recreation, may prove to be worthy. Why should you protect your generator? 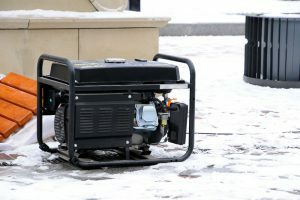 How can you protect your generator? 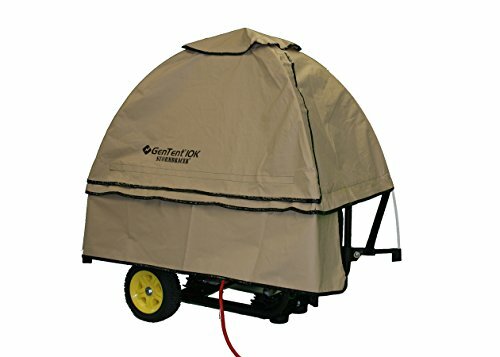 What kinds of generator covers are out there? 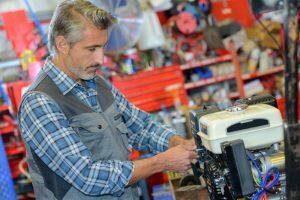 As generators don’t come cheap, one must take great lengths to ensure that his generator will have extended life and function at its prime, as if it was only bought yesterday. 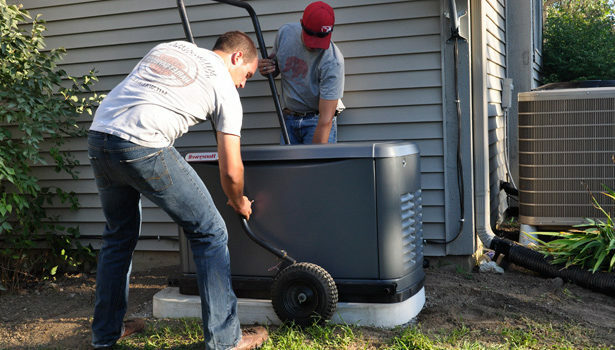 The first step in caring for your generator is purchasing a generator cover. Put longevity and durability on the top of your mind when thinking of ways to protect your generator. 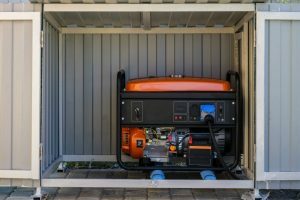 You will definitely get a bang for your buck when you choose to spend for the sake of safekeeping your generator rather than paying for repairs and maintenance, or worse, getting a brand new generator as replacement. 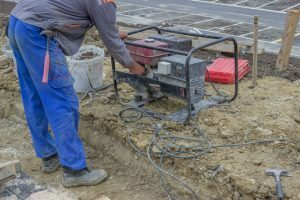 Since generators are usually installed outdoors, there are many factors that may damage it leaving it incapacitated permanently. These factors should be avoided to prolong the life of your generator and minimize the risks of accidents caused by shocks. Prolonged exposure under the heat, the cold, and the wind may corrode the vital parts of the generator. Rain and snow are a complete no-no as well. Make sure to keep it a habit to keep the generator away from direct sunlight as it heats it up even more (especially when it is running) while rain may cause not only breakage, but also electrocution. If your generator is installed outdoors, make sure that it is elevated to avoid floods. 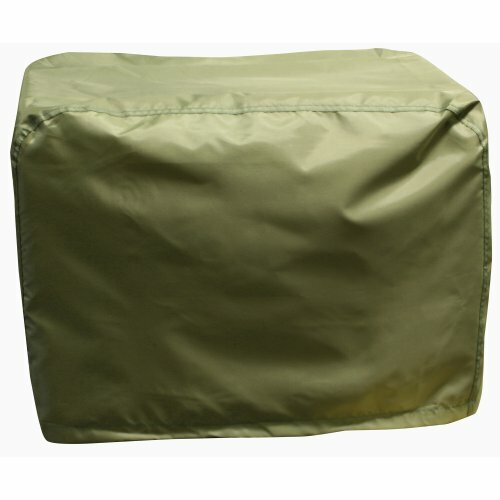 Also get a generator cover that can withstand strong gusts of wind and is waterproof and heatproof. The fabric or the walls must provide sufficient air circulation to ease and cool down the heat while the generator is in action especially under the blistering heat of the sun. A generator exposed on a yard may get the attention of people who have no qualms over stealing. No matter how safe a neighborhood is, it is not good to leave something out in the open, sparking temptation to those who pass by. Put your mind at ease by providing decent cover and protection for your generator, because at mentioned earlier, it doesn’t come cheap and it proves great addition to a household. Rodents can chew on the vital wires or cables, or get stuck in the crevices of the machine. Just imagine the horrors of starting it up while there is a broken wire in its heart or a rodent accidentally trapped in the tiny gaps of the generator. 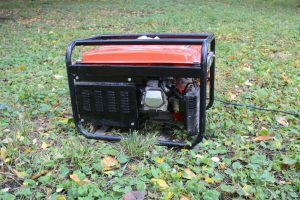 You are not only risking permanent damage to your generator, but more importantly, you are putting your life on the line. Before turning it on, inspect the generator to see if there are broken cables or leaks. Also take precautions when approaching a working generator and check if the surface around it is dry. As explained in the previous point, there is always the risk of electrocution when dealing with machines. A generator, which is uncared for, may pose a great risk instead of help. Make sure to get a generator cover that does not only protect the main part of the generator but also all the connecting wire to the transfer switch. Place the generator away from extreme heat and water. Also don’t let anyone, especially children, to come near it while it is working. At least five feet away from any building openings (windows, doors, vents, etc) and combustible materials, and five feet clearance to any overhead structure, tree, etc. You do not need to spend top-dollar for protecting your generator. 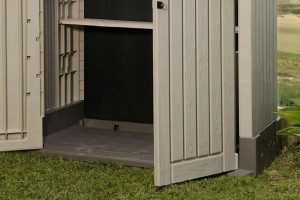 If it is installed outdoors, a shed that does not impede airflow and provides ambient air can do the trick. 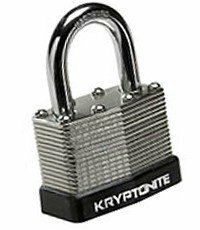 A padlock may be added for improved security. 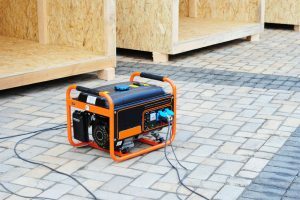 For generators that are stored indoor that can be wheeled outside for use, a simple generator cover is enough to protect it from dust and rodents. It is important to invest on a cover/enclosure to make sure that changing weather conditions will not halt its working state. 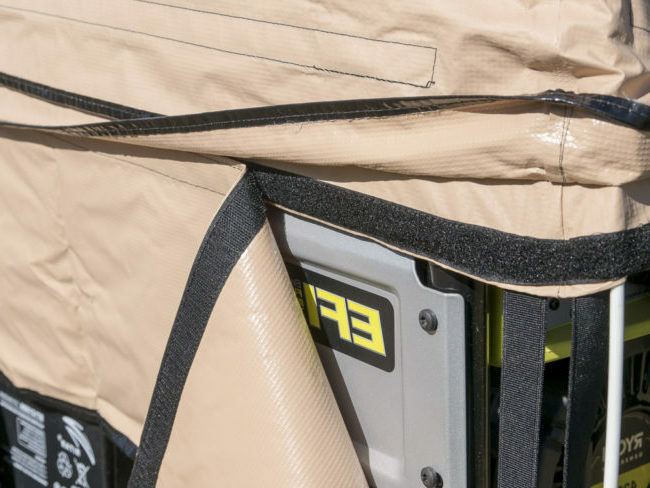 The cover’s resistance to water and heat, protection from unwanted animals and people, and its ability to minimize noise while still being effective in circulating ambient air. 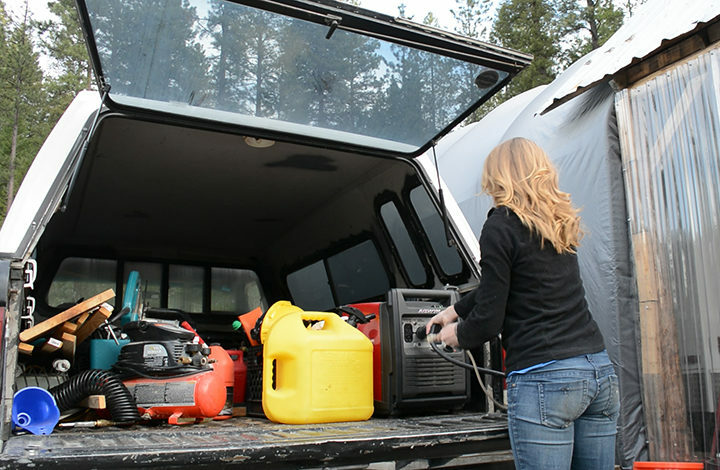 The purpose is the same – covering your generator, but the perks may vary greatly. 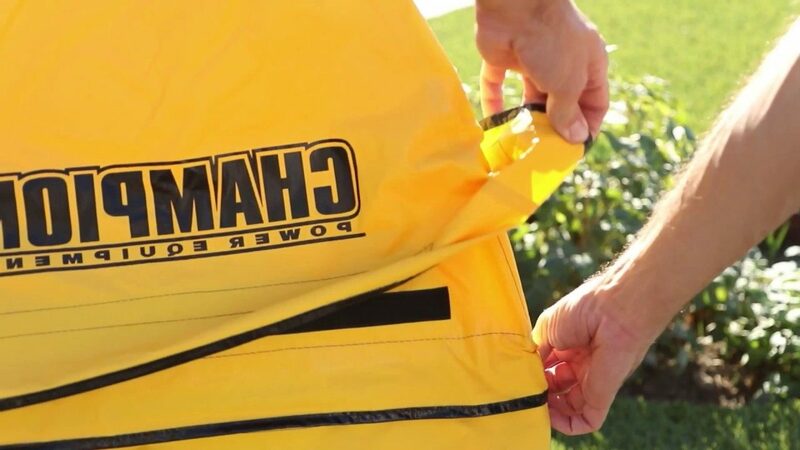 Such as the fabric may not be able to provide proper insulation and protection. If however, you have a sufficient storage or shed for your generator, then this simple fabric will suffice. Meanwhile, using the tent can battle being outdoors under wet or snowy conditions. It depends greatly on how you will treat your generator and the conditions you will put it under. ​A small investment of a simple generator cover can go a long way in extending the life or your generator and at the same time, keeping you safe while you save money from repairs and replacement. Generators are a great convenience; it is an essential tool for household needs, and for life-saving backup in case of emergencies. Its versatility also allows users to use it as backup for continually running businesses or for recreational purposes. Don’t let this machine corrode its way to nothingness by not providing it sufficient care.